Four generations of Bowman's have been land stewards in Enniskillen. Eric's grandfather T.R Bowman purchased the farm and moved from Mount Forest in 1929. This was the start of organic farming for Bowmanview Farms. 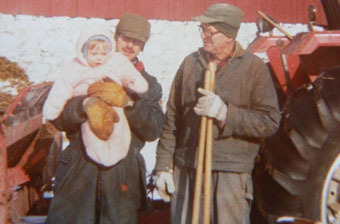 J.Wilfrid, Eric's father, 24 at the time, made the decision to stay on the farm when T.R decided to pull up his roots and move to Port Perry. Wilfrid met a wonderful young lady named Ella Tamblyn. 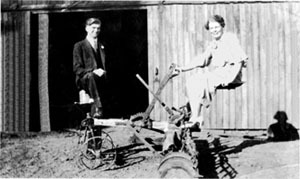 They were married in 1938 and continued with mixed farming. The practice of organic farming continued until the introduction of those "wonderful" sprays and synthetic fertilizers. After a fire, in 1942, a new barn was designed to house the pigs - farrow to finish. 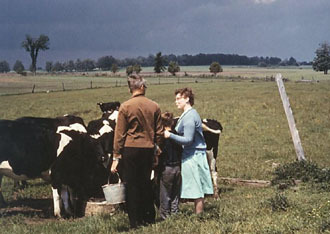 In 1945 Oshawa Dairy was recruiting new producers and convinced Wilfrid to try his hand at the dairy business. 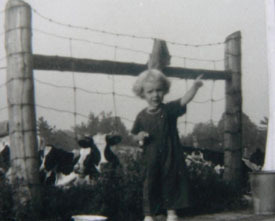 This was the beginning of purebred Holsteins on Bowmanview Farms. Ella's father A.J. 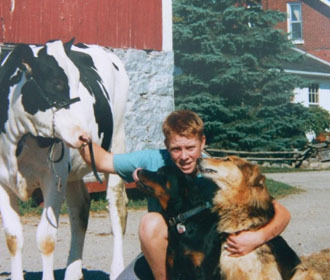 Tamblyn was the local Holstein agent and owner of Cedardale Holsteins. He helped establish the initial herd that continued to produce quality Holsteins for the next 60 years. Eric W. was the next generation to take over Bowmanview. Eric planned to return to the farm after graduating with his Honours Degree in Animal Science from the University of Guelph. 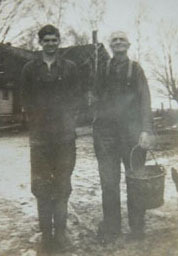 Eric and his father worked together until 1976. He met his future wife, Jennifer, after her family had the misfortune of a major barn fire. The Bests were also dairy farmers under the prefix Fairwinds Farm. This of course ensured that she had a working knowledge base and would be a help with their future endeavors. 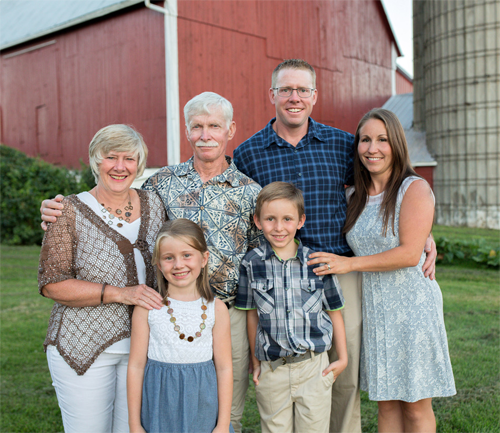 A marriage proposal and ensuing marriage in 1975 started the next generation of Bowmanview Farms. We expanded by building a new dairy barn in 1980 and renovated the old woodshed ( moved before 1894) for our calf nursery. Eric, Wilfrid and Dianne worked together while Jennifer worked off farm as a part time registered nurse in the emergency department. Their son, Aaron, soon became another member of " Team Bowmanview." Three generations of Bowmans' were all active 4H members and/or leaders. Aaron M. and Dianne M. took a variety of clubs and the Holsteins were an active part of that. The family farm continued as two of the members went off to University to pursue their dreams. In June 2005 when Eric and Jennifer decided to change venues; the dairy herd was replaced with a certified organic beef herd. The breeds that we selected had a quiet disposition, good mothering ability and excellent meat quality. Currently grazing on our pastures are Red and Black Aberdeen Angus, Murray Greys, Scottish Highlands. In 2001 Aaron attended University of Guelph and graduated with a BSc in Plant Biology 2005 and continued to complete his MSc in Agronomy 2008. He met his wife, Tasha, while at Guelph and they were married in 2008. They both continued to work in the Guelph area until they came back to Enniskillen with Emma and Aiden in 2013.In January of 2018 the 5th and 6th generation of Bowman”s took over Bowmanview Farms to take the family tradition of farming in Ontario to beyond 161 years.